Say “I do” to the Renaissance Charlotte SouthPark hotel. Our Charlotte hotel venue space offers the perfect mix of elegance and luxury. Not only do we offer luminous ballrooms that can be staged to fit your needs we also feature a romantic outdoor courtyard space. Let our wedding professional help your wedding dreams become a reality. We offer a wide variety of break options to satisfy your morning and afternoon guests. Please see our website or the attachment for our complete selections. We offer a wide variety of breakfast options to satisfy your morning guests. Please see our website or the attachment for our complete selections. Your dinner will be the garnish of your special event. Please see our website or the attachment for our complete selections. We offer a wide variety of weekday lunch options to satisfy your afternoon guests. Please see our website or the attachment for our complete selections. 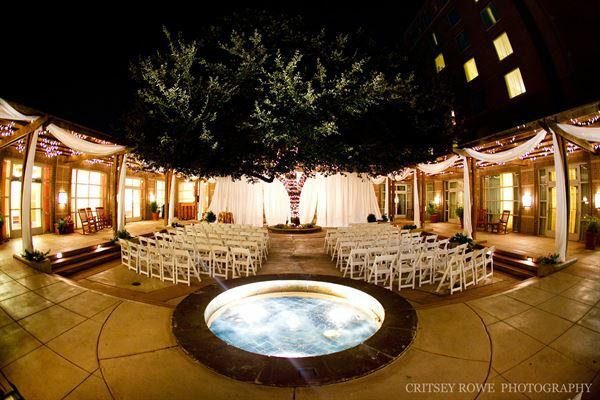 Sophistication and elegant, our Queens Court Ballroom is located right next to our beautiful outdoor Courtyard.